Another long-standing independent core banking system supplier, France-based SAB, has succumbed to acquisition. Predictably, it is being bought by its heavyweight French compatriot, Sopra Steria, reports Martin Whybrow. 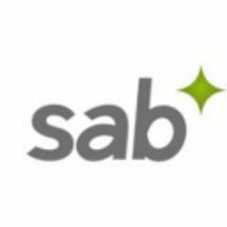 SAB’s SAB AT will be added to the acquisitive French company’s existing range of acquired core offerings. SAB was set up in 1989 and launched its core system a couple of years later. It claims over 200 sites mainly in France and French-speaking countries. For a long while, a direct competitor to SAB was Delta Informatique, which was acquired by Sopra in 2011. It remains to be seen how SAB AT and Sopra Banking Amplitude (Delta-Bank, as was) will be positioned. Sopra’s strategy to-date has been to maintain all of its acquired products, now with a common digital front-end, branded as the Digital eXperience Platform (DxP). Sopra Steria’s Sopra Banking Software subsidiary is taking a majority stake in SAB, with an option to buy the rest of the shares in one year’s time. SAB’s founders, Olivier Peccoux and Henri Assaf, will stay with the company for the time being. SAB had revenues of €64.4 million in 2018. Sopra Steria is talking up SAB’s recurring revenue streams. Maintenance services and ASP services accounted for 30% and 12% respectively of SAB’s 2018 revenues. More than three-quarters of those revenues stemmed from France. Other core system supplier acquisitions by Sopra have been Belgium-based Callataÿ and Wouters (2012), with its Thaler system (now Sopra Banking Platform) and a number of other small players, most recently UK-based Sword Apak. The sum of all of the banking parts of Sopra Banking Software have not added up to a financial success of late. Its stated strategy for 2019 is consolidation, as it seeks to rebuild its operating profit margins from 2020 onwards. For 2018, Sopra Banking Software’s revenue was down 3.6% to €373.7 million, blamed on delivery issues and lower licence revenue. The full-year operating margin on business activity fell by 3.6% in 2018, resulting in a loss of €13.3 million. Catering for small businesses in Canada.